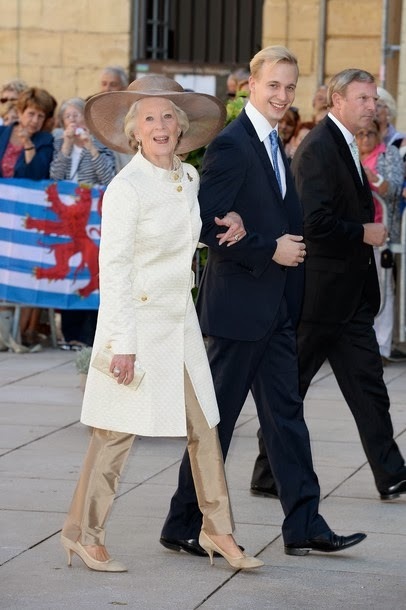 After wading and wading through tons of pictures of the wedding of Prince Félix and his now also religiously wedded wife née Claire Lademacher and possibly getting a Pierre Casiraghi overdose, we have come up with a guest list. 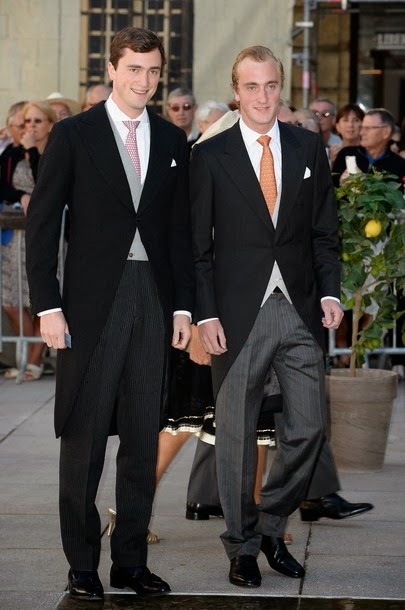 Sadly, the cour hasn't provided one so it was up to us to spy all the royals and nobles in attendance. (A special thanks goes to those who helped by finding pictures!) Despite our best efforts, we have missed many guests though I daresay that's rather the photographers fault for not snapping pictures of the people in question. Apologies if there are any misidentifications. It's entirely possible that more pictures will surface in the days to come. Whenever we spy a new guest, we will make sure to update this list. If you find out about the attendance of an previously unmentioned guest, please let us know, it is much appreciated! 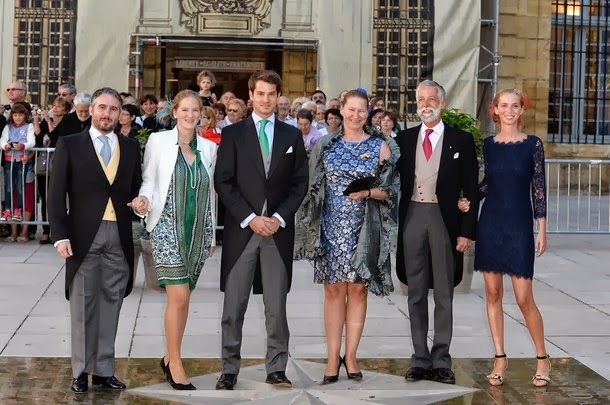 Felix Lademacher is the brother of the bride. 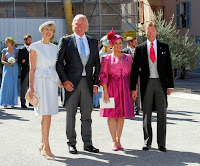 Princess Alexandra is the sister of the groom. The others are friends of the couple. Most of them are former schoolmates and all are longtime friends. 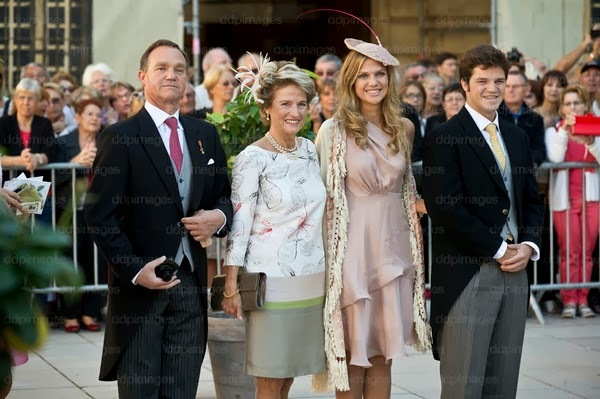 Lawrence Frankopan was already the witness for The Hereditary Grand Duke at his wedding to Stephanie last year. 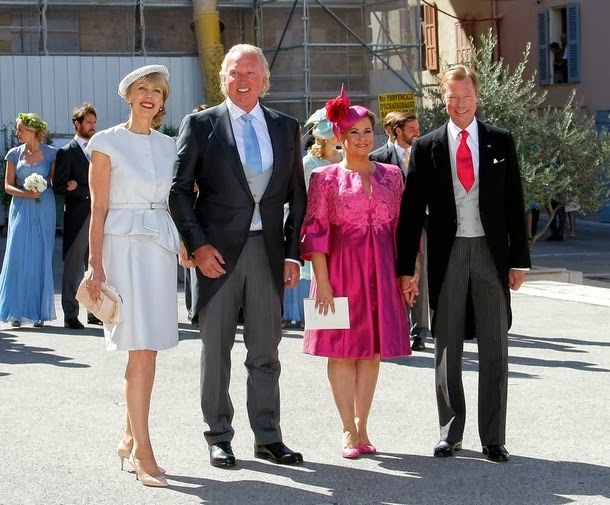 I don't want to be more specific because with the exception of Princess Alexandra and Lawrence Frankopan all of the others are private individuals not public figures. How are Don Lawrence Doimi de Frankopan, Don Peter Doimi de Frankopan and Lady Nicholas Windsor, née Donna Paola Doimi de Frankopan related? Thank you so much for your wonderful blog! Lawrence, Peter, and Paola are siblings. They also have another sister named Christina and a brother named Nicholas.